​Usher in the holiday season with our Annual Savannah Christmas Concert: Cookies, Carols and Christmas in the Historic Savannah Theatre in the heart of downtown Savannah. 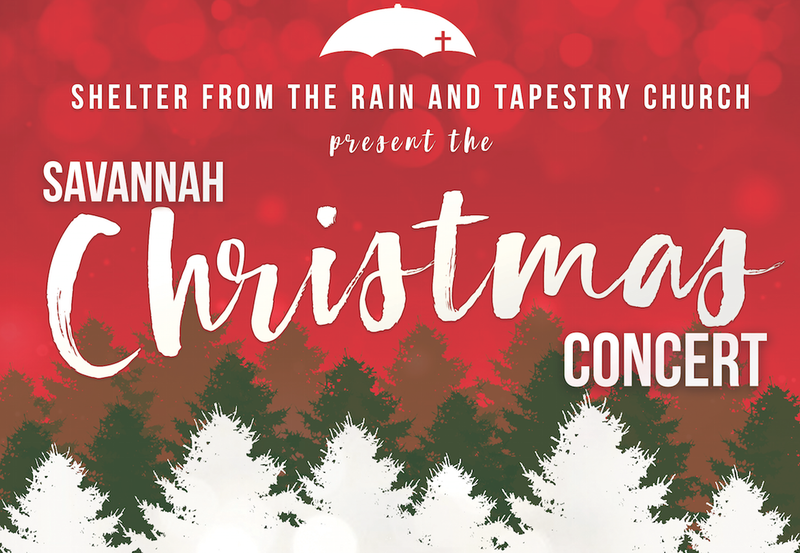 ​Tapestry Church Savannah, The Savannah Theatre, G100 and Shelter From the Rain, Inc..
You are sure to be swept away by the festive sounds of Savannah's Finest. ​Your support will allow us to help more single moms and children in need. Grab your tickets today! Please Click Here to Order Tickets Now!